Just like we have our own energy centers or chakras, Mother Earth also has hers. When you start looking into the nature of this Universe and the Earth, you will start to see how everything is a mirror. Within us is a Universe, around us is a Universe and we are all connected. We are connected to Mother Earth through the subtle electrical current that runs around the entire planet. These electrical currents are known as “Ley Lines” and are almost like Mother Earth’s veins. 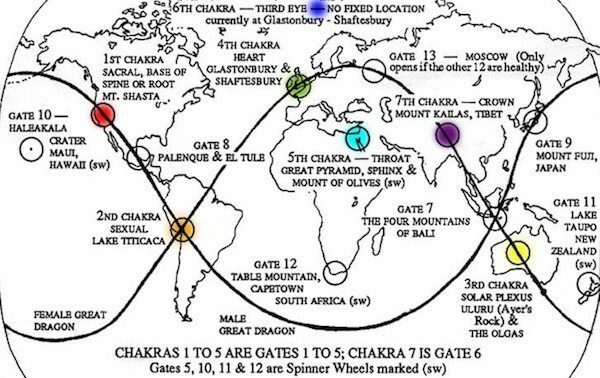 Just like we have veins that flow in and out of the heart, Mother Earth has Ley Lines, which are lines of energy that coil around the earth in a similar fashion as a strand of DNA. In fact, where the Ley Lines intersect are believed to be high points of energy or high concentrations of electrical charge. Usually places where most scientific anomalies happen. 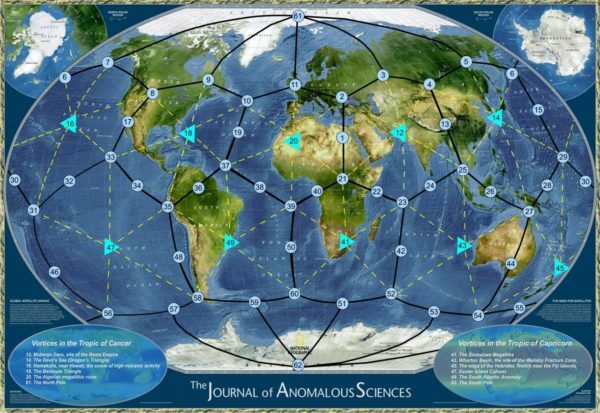 These Ley Lines are also said to be able to take information or energy from these higher vibrational points and carry them around the world, spreading knowledge and wisdom to all inhabitants. These exact intersecting points are ‘coincidentally’ home to some of the most sacred temples and monuments in the world including the Egyptian Pyramids, Machu Picchu, Stonehenge and Angkor Wat. When you look into advanced civilizations like the Ancient Egyptians, it is clear that they seemed to understand the energy and power of these energy currents. In fact, most ancient cultures probably had some understanding of Ley Lines. In China they are known as Dragon Lines. In South America the Shaman’s referred to them as Spirit Lines, in Australia the ancient Aboriginals called them Dream Lines and in the west they are referred to as Ley Lines. The most interesting thing to note is that the points where the Ley Lines intersect, are perfectly aligned with astrological constellations. 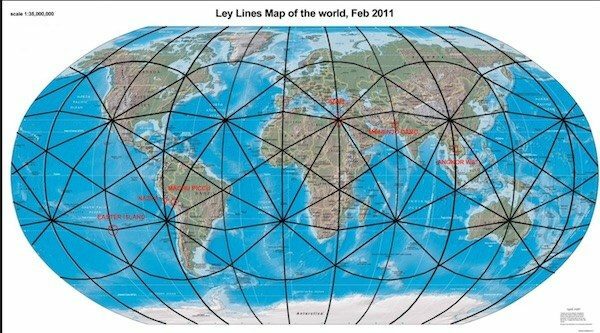 If you think of these Ley Lines as Mother Earth’s energy currents, you will begin to see how it is possible that Mother Earth also has energy centers or chakras. Mt. Shasta is part of the Cascade Mountain Range which runs from Northern California into Oregon and all the way up to the Canadian border. Mt. 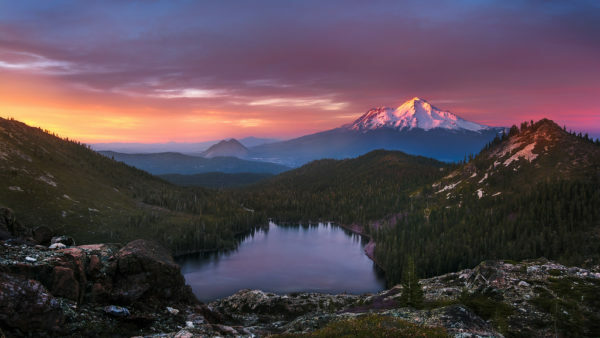 Shasta is believed to be one of the most electrically charged mountains but the whole area is also buzzing with energy. This area is believed to be the base of Mother Earth’s energy system. The Titicaca Stone is the geometrical center for the Solar Plexus Chakra of Mother Earth. The surrounding area of Machu Picchu, Cuzco and Iquitos are also believed to have a very high energy. Two Ley lines intersect at Lake Titicaca, these include the Male Great Dragon Ley Line which runs from Mt. 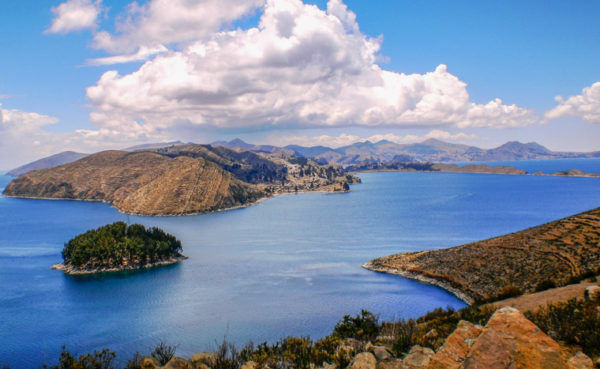 Shasta to Lake Titicaca and the Female Great Dragon Ley line. Uluru and an area called Kata Tjuta is believed to be the Solar Plexus charka of the earth. These areas are still considered sacred to the native Aboriginals today. The Female Great Dragon Ley Line connects both Lake Titicaca and Uluru. Stonehenge as well as the surrounding areas of Glastonbury, Somerset, Shaftesbury and Dorset all form the heart chakra of Mother Earth. Where Stonehenge is constructed is the strongest point of all of this energy. Again, the Female Great Dragon Ley Line connects Uluru to Stonehenge. The throat chakra of Mother Earth includes the area of the Great Pyramid, Mt Sinai and the Mount of Olives which is located in Jerusalem. The throat chakra is one of the largest energy centers of Mother Earth, which indicates its importance at this particular time in our history. It is also the only energy center that is not connected to the Male or Female Great Dragon Ley Line. The Third Eye chakra is the only one that moves, this is due to the the movement of Earth’s axis. The Third Eye chakra moves every 150-200 years or every aeon. These aeons are also lined up with astrological constellations. It is believed that in 2012 we shifted into the Age of Aquarius, which means the Third Eye chakra is currently located in Western Europe near Stonehenge. When we shift into the Age of Capricorn, the Third Eye chakra will move to Brazil. Mt. 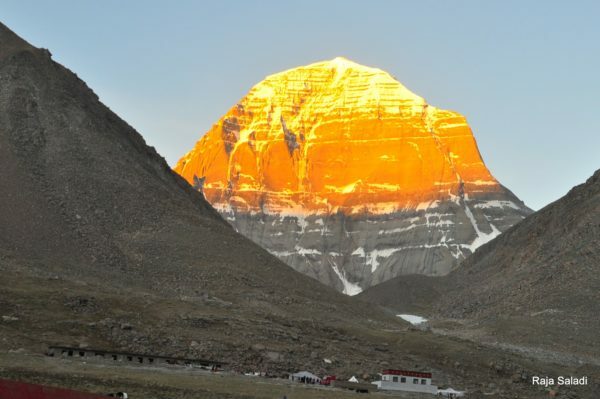 Kailas is considered to be the most sacred mountain of the Himalayas and is located in Tibet. This is the Crown Chakra of Mother Earth and is believed to be connected to the Scorpio Full Moon. In fact, many locals harness the energy of Mt. Kailas on the night of the Scorpio Full Moon, which typically happens once a year in April or May. For Mother Earth, this Full Moon marks the start of a new evolution and a new cycle of energy, as Scorpio is connected to the idea of death and rebirth. And there are probably many more we still haven’t discovered yet!